The first unit of the 2019 Ducati Diavel 1260 has rolled off the production line at Ducati's Borgo Panigale plant; the first lot is expected to arrive at the UK dealerships by early March 2019. Ducati's Borgo Panigale plant has started production of the second-gen Ducati Diavel and the first bike rolled off the factory floor on Monday. As the name suggests, the Diavel 1260 is powered by a new 1,263cc liquid-cooled V-twin motor which now develops 159bhp and 128Nmof torque. The bike made its global debut at the 2018 EICMA. 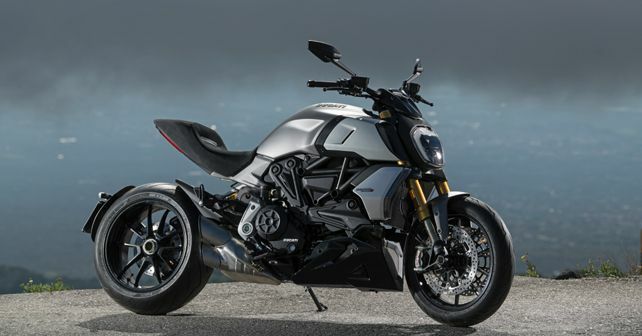 While the second-gen iteration has comparable power and torque figures as the X Diavel, the new version gets Desmodromic Variable Timing (DVT) and new engine mapping. Transmission duties are carried out by the same 6-speed gearbox, however, the 1260 S version of the 2019 model now comes with Ducati's Quick Shift up-down Evo (DQS) setup. Apart from this, the 1260 S can be differentiated from the standard 1260 on the basis of the Ohlins fully-adjustable suspension, a different set of alloy wheels and more powerful front brakes. Despite styling changes involving a new LED headlight, a narrower tail section and a stubbier exhaust, signature Diavel elements like the 17-inch rear wheel and a massive 240mm rear tyre continue to be a part of the second-gen model. The 2019 Diavel 1260 will be available in Sandstone Grey while the 1260 S will be available in a dual-tone combination of Thrilling Black & Dark Stealth, along with Sandstone Grey. Ducati will be bringing the updated Diavel to India sometime in the latter half of 2019.